While waiting on the custom RanchDog TLC432-285-RF for my stainless Rossi 92 I have been experimenting with my new EMF Hartford Rossi 92. This little carbine is just awesome and I love it! I have started using Felix lube with the Lee 358-158-RF using different loads of WC820(n) and Hodgdons HP38. 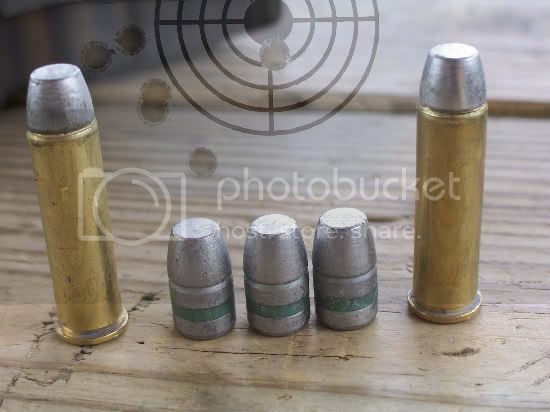 Using 12.8 gr of the WC820(n) I have found that using air cooled cast bullets im getting zero leading and great accuracy. I also got in on yet another group buy over at the cast boolit forum for this little carbine. 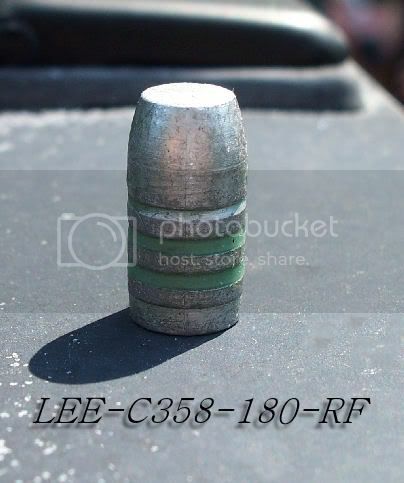 This is the Lee C358-180-RF and looks to be a real flat faced gas checked thumper! It also has a 1/10 shorter nose to facilitate feeding. 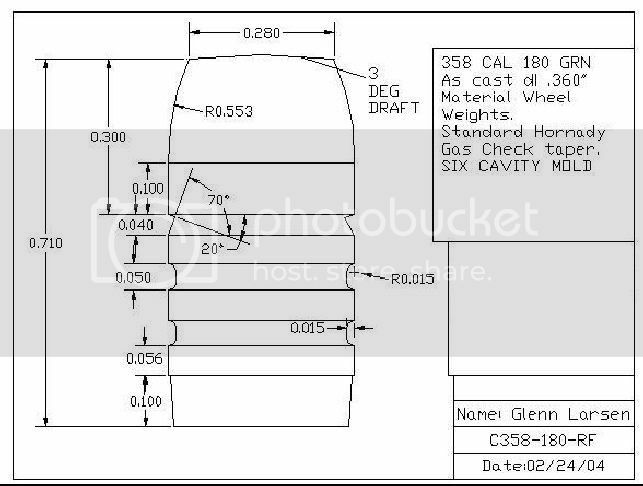 Heres a link to a good article about the Lee C358-180-RF and the Rossi 92.